For those of you in the publishing world, in a few weeks we have the Bologna Book Fair! With my MA course, I am able to go to Bologna for free (well free as long as you don’t count the course fee!). So hopefully I will have something fun to report when I get back. Who knows, maybe I’ll see you there! This book today was found, once again, via BookBub. For those not subscribed to BookBub, go for it! It’s a great way to discover new titles and genres! 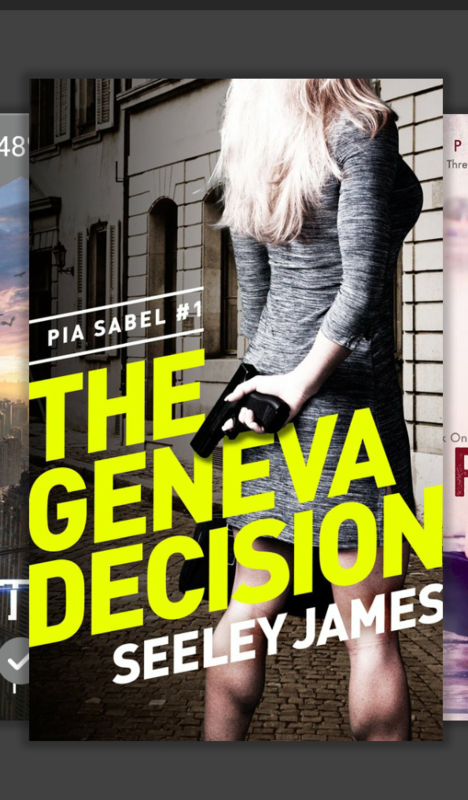 We meet our protagonist, Pia Sabel, right from the get go. An ex Olympic soccer player (or football if your English! ), she becomes the boss of her adoptive father’s security company. Apparently Pia had a rather traumatic first few years, where she saw her mother and father murdered and threatened to be killed herself. Luckily, her adopted dad had a bit of money to be able to employ body guards and decided to start up his own security company to help Pia. Pia is out on a ‘job’ and spots a shady guy. Following him, she sees him shoot her potential employer. After she tackles him and hands him over to the police, we see that he has an accomplice. The police blunder and the assassin escapes, plunging Pia and Sabel security into the shady world of bankers and assassins. A journey that takes her from Switzerland to Colombia and back to continental Europe, rookie Pia makes mistakes, friends, loyalty and respect in her new playing field. Enjoyment wise, this was a great book. Pia was a relatable character. She had been moddle-coddled by her over-protective father all her life. Even when she was on a soccer tour, she had her own security. The two agents with her show how inexperienced Pia in the spy game and the derision showed by some of the team is one that is very believable in a male orientated world. The problem for me with this book was the level of disbelief. How does an olympic soccer player know what an assassin looks like from his demeanor on her first case out? I’d expect James Bond, a secret service spy and ex-officer in the Navy to be able to but not Pia. Her ability to incapacitate the assassin is slightly ridiculous, when again, she has no ‘spy’ experience. The fact that Pia is the leader of her group is just asking for her to die. Yes she is the owner of the company but relying on the experience of other people is more believable, and when she is seen to have promoted someone for this specific role, she still ignores them. Why would someone who wasn’t the best shot, is a rookie and no ability to decide if a situation is too dangerous lead a team to potential slavers? If it wasn’t for these problems, this book would easily be an 8 or 9. However, due to my inability to believe some of the situations, my verdict is 6/10. Worth a read but just lacking a decent editor. I have recently browsed over my old posts and noticed something amiss. I have only 7 posts in the crime category. This was surely not right so I double checked. But no, only 7 posts. Yet I have read more than that in my lifetime so today I shall be rectifying this problem, starting with the re-reading of Rizzoli and Isles series. For those of you who have seen the rise of this blog from its humble beginnings (and still humble present) may have noticed that I declared this blog to be more of a crime book review site. Obviously, in the past two years this has not been the case so I shall crack on with the 3rd in Gerritsen’s series, The Sinner. We start of with a man. A man in a taxi. Not much else is known except for the fact that he is making the taxi go onto a dirt track. The taxi driver seems reluctant to carry on and tells the man that he is now walking to his destination. A seemingly natural thing for a taxi man to do who is trying to save the underside of his car. However, this destination seems to have brought on terror for the taxi man and as our man leaves to head off into the wilderness, we can only hope for the best. As it is, this hope is truly shattered when we see him taking pictures of an area that has seen devastation. Enter into present day and we find Dr. Maura Isles working on a post-mortem of a man who seemingly died from a heart attack. During this, Detective Jane Rizzoli calls, meaning one thing; a body has been found. Isles journeys to a convent where we find a nun has been murdered and another is in need of quick medical care. We later discover that the dead nun had given birth to a still born and that the other nun is currently fighting for her life. It seems to be apparent who the intended target was, the father of this still born being the obvious murderer. However, we discover that the nun in the hospital had been previously working overseas in a leprosy village and it had been massacred. Isles is called to another murder, seemingly not connected and finds a lady whose hands, feet and face had been taken away. A horrific murder. The type of bullet used on the ‘Rat Lady’ results in the FBI getting involved and once again Agent Dean is back in Boston, with a now pregnant Rizzoli. Isles’ ex-husband, Victor, arrives back into her life and she ends up falling back into her adulterous husbands arms. However, she seems to have an attraction to the unattainable priest who is involved in the convent case. 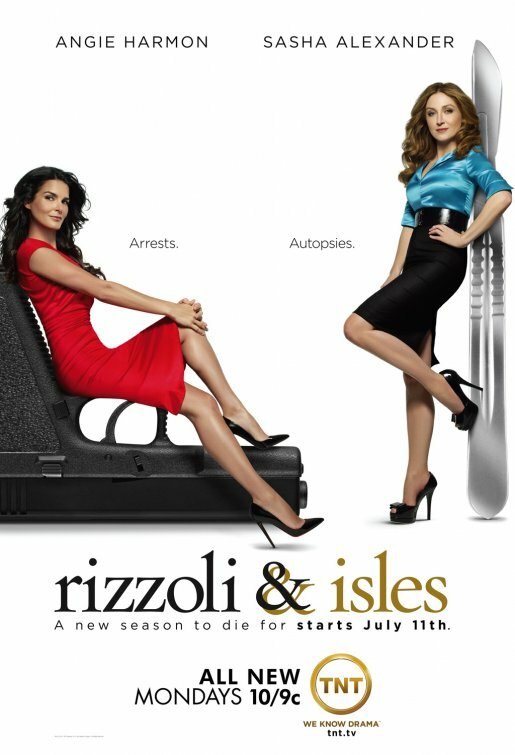 Rizzoli and Isles piece together this mystery and we end up with Isles fighting for her life. I love these books. I have to really separate them from the TV series but little things connect them. It is amazing how many names and characters are used throughout both types of entertainment. My bias aside, this is a great book. The title is excellently chosen as nearly everyone is this book can be accused of Sinning amongst its pages. The plot is fantastically woven and no question left unanswered. Rizzoli and Isles are fantastic characters who seem to be developing into friends as well as work colleagues, hopefully leaving it open to some great, off the case banter (or am I just hoping for the TV banter?). Having said that, I do find the whole storyline of a policewoman and FBI Agent romance to be a little old school. Hopefully Gerritsen brings back the priest because that would cause an excellent upset for Isles. I also think it strange that a priest be brought into this series when there is a priest in 2nd Chance too. I know that I could be reading too much into them but as Angie Harmon has acted as both the lead detectives in both TV series’ I almost put these books together. My verdict 8.5/10: All in all a great read and I cannot wait to read the next one!